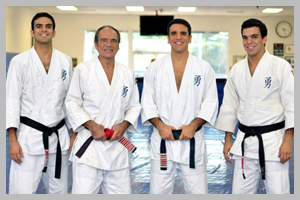 "KNOWING THAT YOU CAN TAKE CARE OF YOURSELF & YOUR LOVED ONES IS JIU-JITSU CONFIDENCE"
My mentor and Helio Gracie Jiu-Jitsu Professor is Mr. Pedro Valente, owner of Valente Brothers Jiu-Jitsu in Miami, Florida. Opening this program and being a direct affiliate of Helio Gracie Jiu-Jitsu Self-Defense through Valente Brothers has always been my dream. 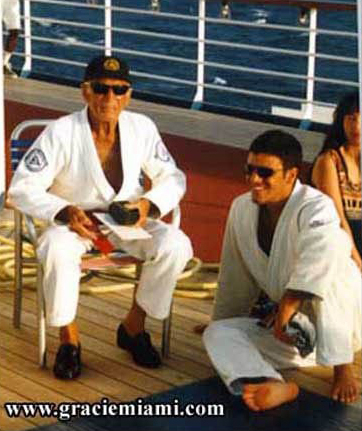 We practice strictly Hélio Gracie Jiu-Jitsu Self-Defense. Our school is not a tournament style school nor are we a sport jiu-jitsu school. We teach practical defenses against the most common street attacks such as life threatening chokes, grabs, punches, kicks, bear hugs and headlocks, as well as attacks with weapons such as knives, guns, bottles, baseball bats and sticks. The word Jiu-Jitsu may be translated as “gentle art” or “the art of gaining victory by yielding or pliancy”. Our teaching methods are intended to convey the most effective self-defense instruction in the world by giving students the elements to defend themselves in real life fights that have no rules, no points and no time limits. 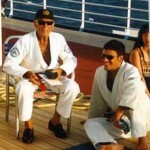 We teach Jiu-Jitsu as a method of realistic self-defense and personal development. Our system has three main objectives. First, the system teaches the most powerful self-defense in the world as proven in the original Ultimate Fighting Championships (UFC). Second, our system constitutes one of the most complete forms of exercise in existence. And third, it represents an incalculable moral and educational value. Our style of Jiu-Jitsu is the official hand-to-hand combat system of the United States Military and of law enforcement agencies all around the country. The principles of Jiu-Jitsu that enable a smaller person to defeat a much larger attacker can also be applied to improve all areas of a person’s life.